Option of "Burntwood American" for Juniors, Novices (see small print below) and Visually Impaired archers. Burntwood American Round is 2½ dozen on each of 60cm, 80cm and 122cm faces, all at 30m. 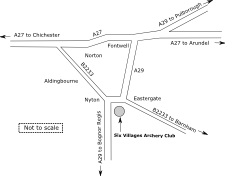 Held at Six Villages Sports Centre, Westergate near Chichester. Assembly at 10:15am, sighters at 10:30am. Shoot includes BBQ which is free to all entrants, small charge to others. BBQ typically includes burger, sausage, pulled-pork, roll and salad. All BBQ meat from local quality butcher. Vegetarian options available. Prizes in all main bow categories (depending on entries). 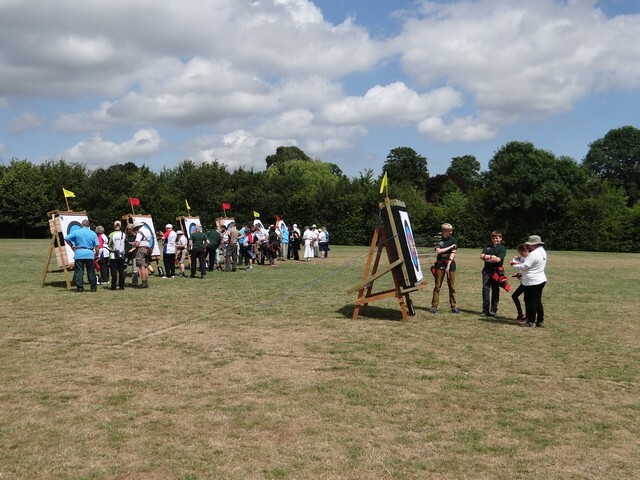 All standards are welcome but please note that the main category prizes will only be awarded to archers of 1st Class or lower AND meeting the handicap requirements (see small print). Other prizes may be awarded on the day. Numbers are limited so book early to ensure your place. Cost £11.00 (including BBQ ticket). Additional BBQ tickets £5.00 (to be ordered with entry). Small charge for cup, then free tea/coffee all day. Bacon/sausage rolls, cakes etc available for purchase all day. Closing date (for receipt of entry form and cheque): Thursday 27th June 2019. We may still accept entries after this date but as the tournament fills up quickly you are advised to contact us before you post your entry form. There will be a surcharge for late entries and no refunds after the closing date. Rounds: American Round (2½ dozen at each of 60yds, 50yds and 40yds). 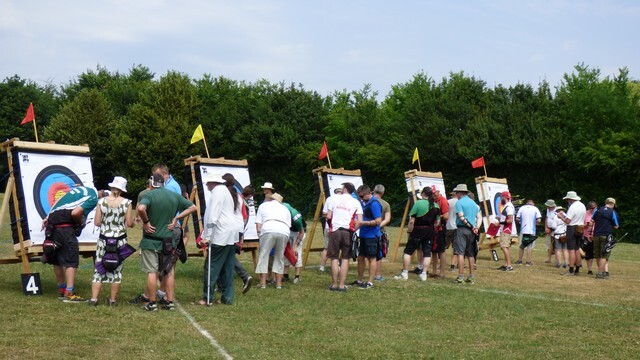 Option of "Burntwood American" (2½ dozen at 60cm, 80cm and 122cm faces, all at 30m) for Juniors (see below), Novices (see definition below) and Visually Impaired (VI) archers (see definition below). Juniors: All juniors to be accompanied by a responsible adult (who may be shooting). Junior prizes will be awarded on handicap so a current handicap (valid on day of tournament) MUST be provided. Fill in “Lady/Gent”, “Bow type” etc and then tick “Jnr”. Tick “Burntwood” if required. 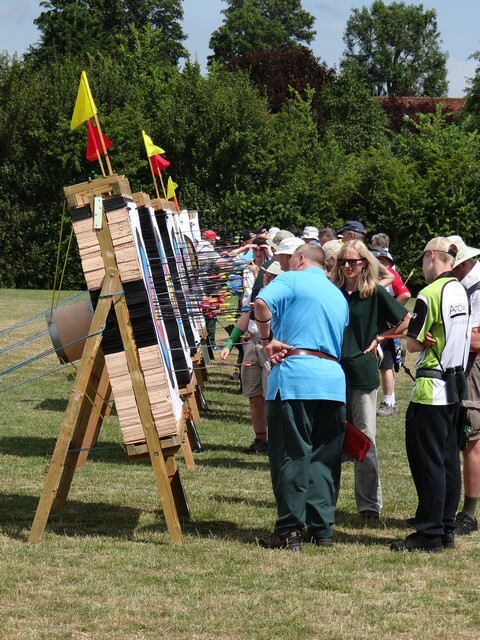 Novice: Defined as shooting for less than 1 year and shooting Burntwood American Round. Novice prizes will be awarded on handicap so a current handicap (valid on day of tournament) MUST be provided. Fill in “Lady/Gent”, “Bow type” etc and then tick “Novice” and “Burntwood”. VI Archer: Defined as meeting AGB requirements. VI prizes will be awarded on handicap so a current handicap (valid on day of tournament) MUST be provided. Fill in “Lady/Gent”, “Bow type” etc and then tick “VI”. Tick “Burntwood” if required. Burntwood American: A current handicap (valid on day of tournament) MUST be provided for all competitors by the day of tournament or handicap of zero will be assumed (therefore zero handicap allowance). These Burntwood American handicap tables will be used for calculating results. Please note that the Burntwood American may not be accepted by Records Officers for Records, Classifications, Handicaps etc. American Round will assumed unless Burntwood American is ticked. 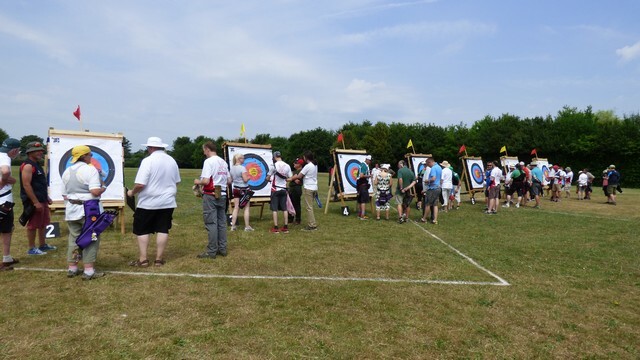 Archery GB membership: An Archery GB membership number must be declared on the entry form and membership cards must be available for inspection at registration. 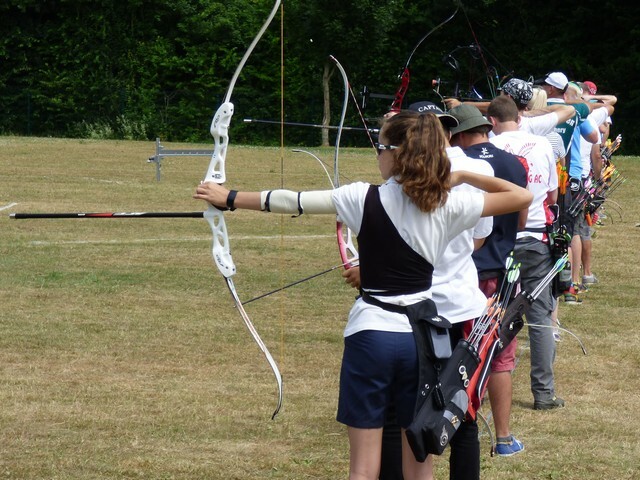 Dress regulations: Dress regulations in accordance with Archery GB rule 307. 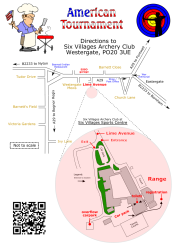 Photography: Please register on arrival if you wish to take photographs. Arrows: 'All-carbon' arrow shafts are NOT permitted as range is also school playing field. Smoking: Smoking (including e-cigarettes and “vaping”) is NOT permitted anywhere on the Ormiston Six Villages Academy grounds. DISCLAIMER: Six Villages Archery Club, Ormiston Six Villages Academy and Freedom Leisure do not accept responsibility for any loss or damage to person/s or their property (including arrow damage) that may occur, however caused. 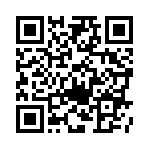 To contact us please use the email link below.